We were looking at ways to go about clearing Christmas debts for last week's Finance Fridays. This week I've been talking with two other bloggers about their new book Blogging Your Way To Riches. If you've ever wondered about changing career and starting a new blog then this is the book for you. 2017 could be the year you could turn your hobby or passion in something that really pays! Let's meet the authors, Lynn James and Emma Bradley, and find out a little about the duo. You can find Lynn's blog at Mrs Mummypenny which she started while on maternity leave with her third child. Her background in finance comes from working as an accountant for companies such as EE, Tesco and HSBC. She now writes full-time about all things personal finance and lifestyle and loves sharing ways to get the best value for your money. 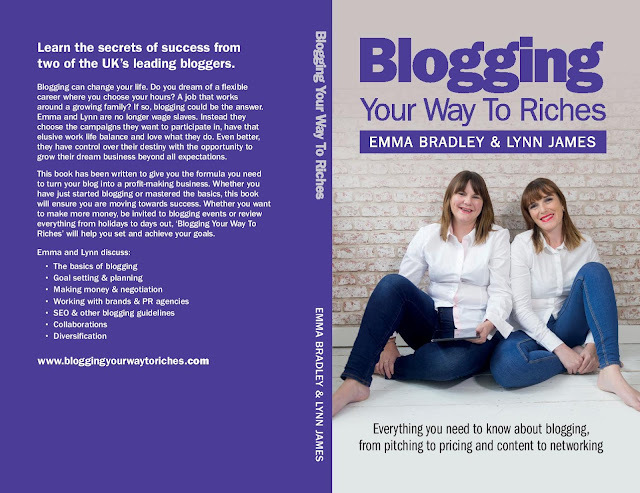 Lynn's writing partner is Emma Bradley who runs the blogs Emma and 3 and Mum's Savvy Savings. Emma started blogging whilst working as a teacher and being Head of Sociology. She now writes full-time using her experience as a teacher and mum to three about parenting teens and empowering young people. 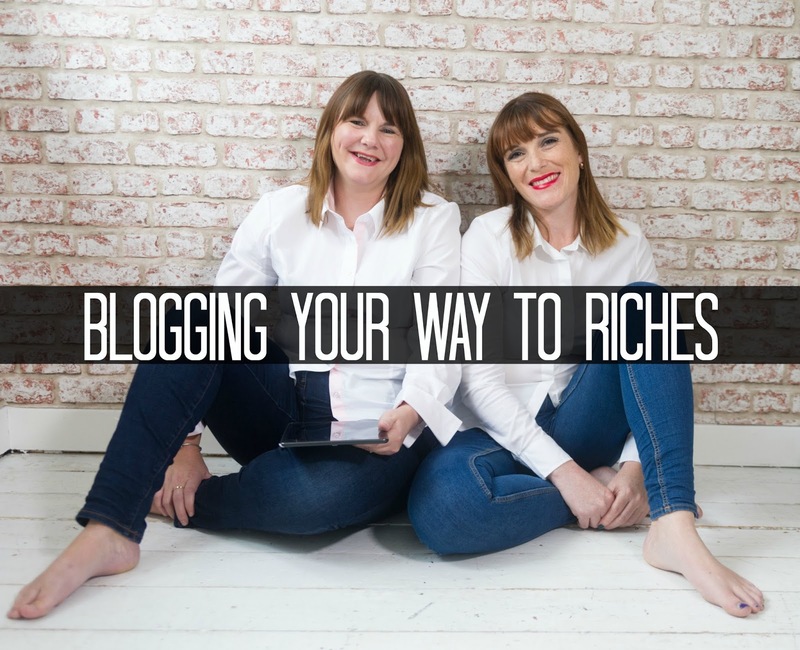 Why did you decide to write Blogging Your Way To Riches? What's your 5 year plan? What lessons have you learnt in blogging? What would be the top three blogging tips you could share? 1) Write lots of great content that people want to read. Post regularly and get into a posting routine. 2) Network as much as possible. Meet other bloggers, brands, PR agencies. Go to events and meet people in person. 3) Engage in collaborations, linkies, guest posts, blogger Q and As. Collaborations will get you different readers to your content, more social following and back links that will help your web authority DA. Plus collaborations feel good; it's great to help each other out. Thanks Lynn and Emma for your time and I wish you every success with your book and future blogging. Blogging Your Way To Riches is available as a either a paperback or Kindle e-book from Amazon. This post may contain affliate links. It won't cost you any more but I may receive a payment. Blogging riches have got to start somewhere! If you want to join in with this week's Finance Fridays then add your link to the linky below. Any post concerning financial matters is allowed. Full details here. It doesn't have to be published today as you have until 23.55 on Tuesday 17th January 2017 to join in. The marketing for this book so far has been fab - and these two women are amazing! I would love to have a read and will be buying a copy. Lovely few tips added on the end of the post to. I really love my blog but would love to start earning! Great to see how far they've come and love their fantastic 5 year plans - completely agree about going in high with negotiations. It is always great to read of successful stories when it comes to blogging. Even better when you have useful and helpful advice. I think the tip that stands out the most is the one about networking - it's easy to think you don't need to do it but it must be very beneficial and is on my list of things to improve. They sound like cool ladies and interesting to read their perspective. I'm a long way off making money from my blog but it's definitely a goal of mine! Brilliant interview - I love the questions you asked them both! What a lovely interview. I need to read this book. I think I need to write a five year plan. I love blogging, yes it beings me an income, but it also saves my sanity. Ooooh, the book sounds great!